Do you want a windscreen replacement of an Opel Combo? For more than 30 years, the Opel Combo has been an ideal compact van in demand by both private and business users. Several generations have appeared over the years, the latest of which has been in production from 2011 to the present day. 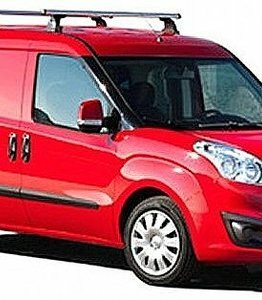 If you have this car and are looking for a cheap way for a windscreen replacement of the Opel Combo then it is good to know that we can do this quickly and easily. Replacing an Opel Combo windscreen is very cheap with us because we supply aftermarket car windows. These are of the same high quality as the automotive glass that can be found at a brand dealer, but do not have the high price that you have to pay there. Before we discuss the possibilities we offer to replace the windscreen of your Opel Combo, we will tell you more about the history of this versatile van. The first version of the Opel Combo was published in January 1986. However, the name history of the Combo is not as simple as some other models. The car that we now also know as the Combo A was sold from 1986 to 1993 as the Kadett Combo. This of course because this car is based on the Opel Kadett. The Kadett Combo became a great success and it was decided that the next generations would continue without the Kadett prefix. This is partly because the Kadett was no longer made from 1991 onwards. An interesting detail is that this first version of the Opel Combo was sold in, among others, the United Kingdom as the Vauxhall Astravan or Astramax. It was not until around 1991 that Opel Astra became the successor to Opel Kadett in Europe. However, Vauxhall had already used the name for the Kadett D and the Kadett E, which were in production from 1979 to 1991. European legislation prohibited the renaming of the same model of car under a different brand name around 1990. Since then, the Vauxhall and Opel models have had the same name, even though they have a different mark. Strikingly enough, both the second and third generation of Opel Combo are based on Opel Corsa and not Opel Astra. The Opel Combo B was in production from 1993 to 2001 and the Opel Combo C from 2001 to 2011. The front of the two generations is identical to the generations of the Corsa from the same period. This is particularly evident in the Opel Combo B. The raised back of this compact van looks like it has been stuck on it and this gives a good picture of the contours of the Opel Corsa. The Opel Combo C is a lot more streamlined and seems to have more of its own style. The Combo C is therefore a model that can still be found on the roads. As a result, it may well be that you are looking for a windscreen replacement for the Opel Combo for this generation. The Opel Combo Tour is the five-person version of the Opel Combo. It can easily accommodate up to five people because the space normally used as a load compartment has been converted into a rear seat with a large boot. The Combo Deluxe has light-alloy wheels and other luxury extras. The Combo Tour Tramp is a five-person version that is suitable for off-roading thanks to, among other things, increased suspension and a higher wheelbase. From 2011, the latest generation of this model, the Opel Combo D, will be available. It is striking that a different car was chosen as the basis. This time it's the Fiat Doblo. This can also be clearly seen in the appearance of the Combo D. It doesn't look very similar to its predecessors and also has other dimensions. This, incidentally, without the functionality of the Opel Combo being very different. It is still an ideal compact van which, thanks to its relatively low price tag, is popular with companies and individuals looking for a good car with a lot of loading space. The partition that shields the load compartment from the driver and the passenger not only reduces noise, but also prevents cargo from the load compartment from flying into the windscreen from the inside in the event of an emergency stop. This makes the car as resistant as possible to a possible accident. However, a crack in a windscreen can cause problems if you get a collision or, for example, an animal flies against the windscreen. A broken windscreen does not have that much stiffness and is therefore less able to absorb a blow. It is therefore important to replace the windscreen of your Opel Combo as soon as there is a crack in it. This will help you prevent major problems in the event of an accident and keep you safe on the road. How can a windscreen replacement for the Opel Combo be so cheap? In the first instance, a car window with a brand logo may only be sold by authorised brand dealers. As a result, the costs of replacing the Opel Combo windscreen there are higher than strictly necessary. The after market car windows we supply are of exactly the same quality and come from exactly the same factory as the vehicle glass with a brand logo. Nevertheless, the price is much lower due to the absence of this logo and therefore very advantageous for you as a customer. It is also handy that you can order the car window from us and then assemble it yourself. If you do not have this knowledge in-house, our FOCWA certified partners can be called in for the windscreen replacement of the Opel Combo. In this case, too, you are much cheaper than going to a brand dealer to have the windscreen replaced. For the Opel Combo rear window replacement, we are also happy to assist you at an advantageous price! So order a new car window for your Opel Combo quickly and easily today.